An important aspect of Mercy Loan Fund’s business as a national lender is the relationships it builds with national developers of affordable housing. 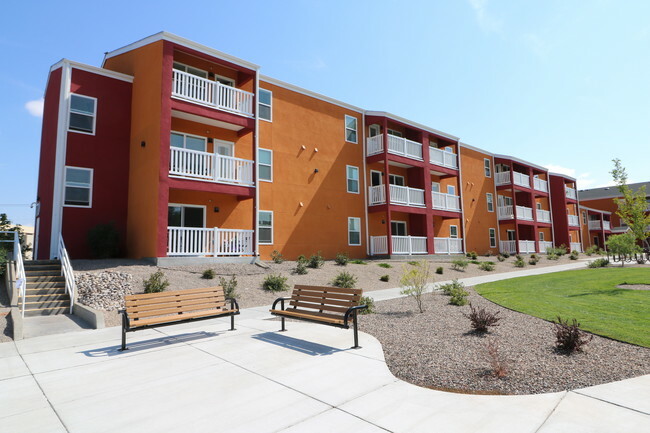 One such organization, Wishrock, first came to Mercy Loan Fund in 2015 for a loan to preserve Rio Vista Apartments, a 75-unit low-income rental property for the elderly and disabled in Albuquerque, NM. This was the beginning of a relationship between two like-minded organizations that has grown over the past three years, with four additional loans provided for the preservation of 454 units of affordable housing for 886 low-income residents in Colorado, Connecticut, and Oregon. Three of these loans were for properties located in rural areas where a sudden and drastic shortage of housing vacancies left many low-income families concerned about their futures. “We need to be focusing on preservation and development equally. Preservation is key because if we lose units, we’re losing the battle. Solving the affordable housing shortage requires varied partnerships that are comprehensive and multifaceted,” stated Stefanie Joy, Mercy Loan Fund Lending Director. Wishrock develops and invests in affordable housing properties nationwide. Collectively, the principals have developed or redeveloped over 12,000 units of affordable apartment housing since the early 1970s. Wishrock’s primary focus is on preserving quality affordable housing for low-income and working-class residents. Both Wishrock and MLF understand how the quality of low-income residents’ lives can improve through dedicated resident services. Wishrock’s resident service programs are augmented and partially subsidized by its affiliated non-profit partners, and while some resident service coordination positions are funded through grants, more typically they are funded voluntarily by Wishrock through a project’s surplus cash flow. Mercy Loan Fund values the relationships it has built with Wishrock and all of its borrowers over the years, and looks forward to collaborating on more projects in the future.